Finals for the Girls 100m Hurdles at the Kowboy Invitational on March 14, 2015. The event was won by Domonique Turner of Osceola HS with a U.S. #7 time of 14.05. Finals of the Boys 100m Dash at the Kowboy Invitational on March 14, 2015. The event was won by Chauncy Smart of Auburndale HS with a time of 10.85. 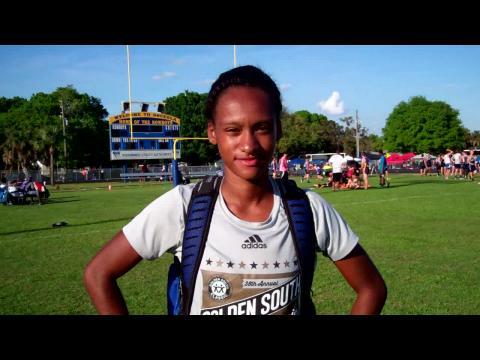 Janae Caldwell of Spoto HS talks with us about her great day at the Kowboy Invitational on March 14, 2015. Her 40om time of 55.6 is currently ranked #7 in the U.S.
Avonti talk with us about her teams success today at the Kowboy Invitational and the part she played. She earned points in 3 of her four events. 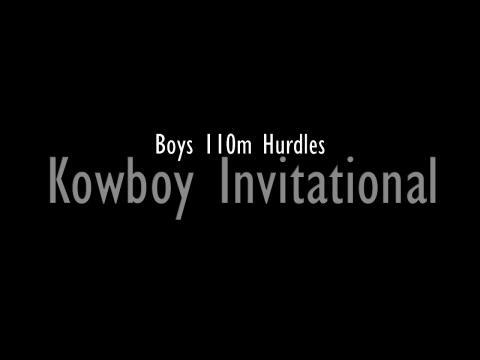 Finals of the Boys 110m Hurdles at the Kowboy Invitational on March 14, 2015. The event was won by Carlos Becker of Osceola HS with a time of 14.78. 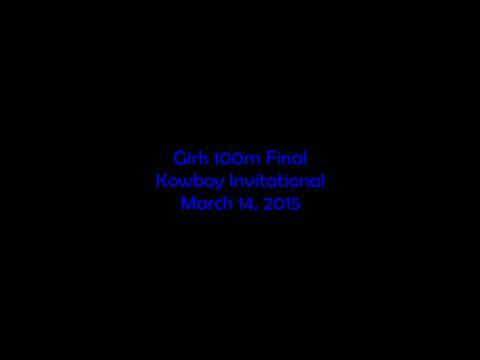 Finals of the Girls 100m Dash at the Kowboy Invitational on March 14, 2015. The event was won by Kimmie Cunningham of Winter Springs HS with a time of 12.11. 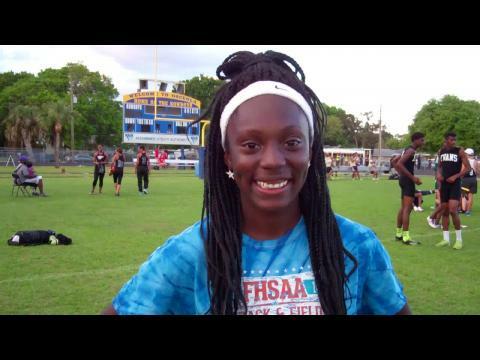 Domonique Turner of Osceola HS has a great day winning all four of her events at the Kowboy Invitational on March 14, 2015 taking Athlete of the day honors. 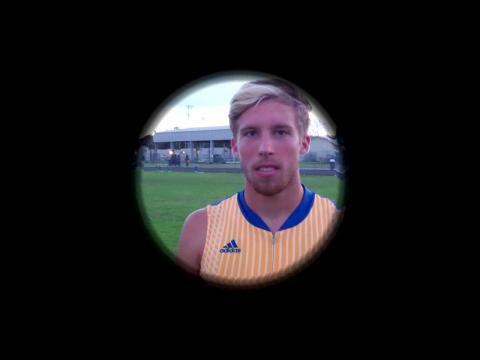 Callahan Warren of Auburndale HS talks with us about his impressive day. His 800m time from today (1:55) is currently ranked in the U.S. top 10. He also runs the 4x400 as anchor. 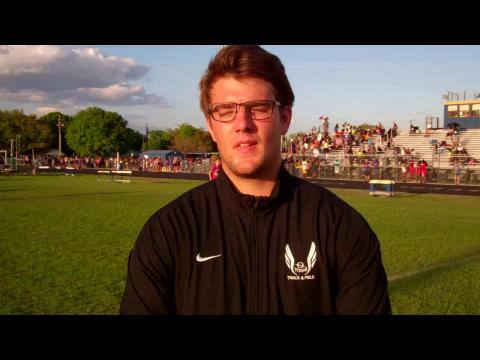 Macon Rodier talk with us about his last few weeks throwing the shot put and his team success from the past, present and future. Donald Lamb was on-site at the Kowboy Invitational and took over 1,500 photos including this one of Osceola junior Domonique Turner who took home gold in the 100m hurdles, 300m hurdles, triple jump, and high jump!